Yes, we do give you something to hold on to as well as ours by signing a “rent contract”. This applies to all or whatever small or large items you want to hire/borrow from our gallery. This contract will comprise primarily of terms including date of issue of the item and expiry which will depend on how many days you need to borrow a specific item. This will also include a daily basis of rent charges as stated below. You will be obliged to sign and agree to the terms of this renting contract which will help both parties make it easy for the whole process and duration of the term of contract of renting. Read the terms carefully before signing. These terms are bound by legal laws and actions should you fail to understand it. It will be your full, complete and absolute responsibility to understand all the terms stated in this contract so be sure to oblige to bring someone who understands our terms or will interpret it for you if you can’t do it yourself. Our rent terms with respect to pick up and return comprise of solely preventive options that help keep us out of bankruptcy and losing our precious items out of negligence so we may continue to serve you quality custom made costumes, props and accessories of your choice of make (high end and low end). These pick up and return terms are made based on our own experience in the business for over 10 years now so we can provide you with better services and products that we allow to be rented by our customers and clients anywhere in Manila. This means that if you were to come from far away places, provinces or outside a comfort zone of picking up your items to rent, please consider spending some cash for your own transportation to and from your place of destination. We don’t ship rented items and we don’t accept shipped back return of rented items which means we don’t allow rent for such options outside our comfort zone unless you are willing to come over to our home office in Caloocan City and choose anything you want to rent taken from the list of costumes, props and accessories you like in our gallery of products. Furthermore, you will be signing a termination of contract of rent as soon as you return our items for clearance. This way, you get to customize your combination of costumes and pick it up (see list of pick up points below) and leave no strings attached and come back worry-free of your rental obligations. Return of items must be strictly observed. It is your full and absolute responsibility to follow our terms(which you signed). 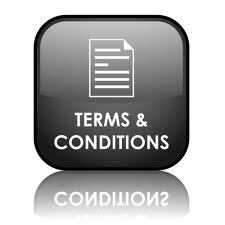 Penalties will be incurred on a per day basis if you fail to abide by the contract terms. On the other hand, failure to pick up paid items based from the contract will incur number of days consumed but no extra charges will be incurred up to only the day of the expiration of the contract. Upon expiration (time and day), you will be charged on a per day basis. Rental rates, fees and charges will also apply. We don’t allow proxies when picking up any items, only the signee (who signed the terms of renting contract) will be allowed to pick up the items bought, sold, or rented. It is your full, absolute and complete responsibility to follow these terms. However, upon signing up, you are allowed as much as 3 people to sign in our terms so you have other options of picking up your item. Damaged returned items must be paid in full amount. As part of our return policy, we strictly implement a “no damage policy”. Do not accept any item found damaged. On the other hand, any damages deemed to have taken place while any item is under the renting person’s care must be paid by the undersigned or its representative in full amount value as stated in the contract or in our website. This case may be specified as soon as the item has been accepted and received by the renter. Any item returned and found damaged will be paid by the renter or its representative. Be extra cautious and be 100% sure to check your items before you accept it. It is your full, complete and absolute responsibility to do your own ocular checking so don’t blame us for your negligence. 1. Buying any of our stock items, props, accessories is strictly under the stated price only. Items labelled negotiable will be allowed for a bidding type of selling and everything else is on a first come first serve basis. Deliveries are allowed with a minimum purchase of Php 5,000.00 but only via our listed pick up points above. We only deliver paid items either via bank or Paypal. 2. We don’t allow reservation. If you want to buy anything from our gallery, please come in the soonest time possible. We will not be held responsible if you don’t get any item displayed “for sale” in time. All information found on this website is subject to change without prior notice so be sure to pay us a call or text/SMS first (See our Contact Us Page Above) before making a move to spend money for transportation. This way, you don’t just save money but also your most precious time. 3. Fees, rates and charges must be paid in due time and in full before any items must be delivered, handed over, rented or picked up by anybody. Any unpaid item is considered void and unwarranted and will not be given for any reason to anybody. 4. Rental extension fees apply. We allow customers to extend their days of rent. On the other hand, per day basis fees will be computed accordingly and added on the charges upon return of item based on the daily charges of rent. No hidden charges will be incurred at 0% interest. 1. See our #7 term for Pick Up and Return of Items. 2. See #4 term for Fees, Rates, Charges and Reservation. 3. Rental insurance deposit. A 50% amount will be deposited to us which will be incurred in the full rental charges of any item the customer will rent. This 50% deposit is 100% refundable upon surrender and return of the rented item provided there are no damages as stated in #7 term for Pick Up and Return of Items. Absolute and complete care must be observed for your rented items. It is your full, complete and absolute responsibility when any damage occurs to them. Therefore, we will be obliged to refer to our terms of service for this website as stated above (Articles A, B, C and D) and implement them as needed. 1. No returns will be accepted in any of our rented or bought costumes, accessories or props. This is because we have made it clear that you should inspect and make your ocular checking of all or any item you are interested to buy or rent from us. Therefore, it is your full responsibility should there be any problem with them. Again, we strictly impose a “no return policy” on all or any of our products except for those which are custom-made items. This is also because we’ve made it clear that renters should not accept any damaged item before signing up our rent contract. 2. If you want to return custom made items you had us make for you, it had to be either damaged or completely unacceptable and deformed. We will no longer accept any return if item is already handed over because as per terms stated above, you are to inspect any item before receiving them. Return of undamaged item is strictly not allowed. If you receive a delivery from us and you found it to be damaged, then and only then can you return them but you cannot cancel any orders for that reason or return them after you have received it from us so be sure to check on them first or ask our delivery agent to let you see the whole item for inspection. Allow us 2-3 days to make necessary repairs in case we accept your return. No refund is accepted. 3. Due to hand-made feature of custom products and the amount of time spent in customizing ordered items, we do not allow cancellation of orders. You can only cancel any order if you are willing to pay in full the amount of full charges incurred for your order. In this case, we will hand over a finished version of your order if you still want it so allow us the time frame of 5-7 days which is our least time that it takes to finish an item. This period may vary depending on the type of item ordered or the degree of difficulty of the procedure of finishing your product. Otherwise, we will follow the contract statement with respect to delivery expectancy or product turnout based in the contract. 4. 50% of down payment is required (to be taken from the base amount estimate figure). This must be paid for all custom items order before any customization jobs start. No down, no start of work.